The Law Office of Aleksandr Vakarev Esq is a personal injury litigation firm operating for the past 17 years within the state of New York. Our practice main focus are on personal injury litigation, premises liability, motor vehicle liability, products liability, medical malpractice, insurance torts, general negligence claims, and construction liability. As part of our commitment to our clients, we strive to respond as quickly and carefully as possible to your legal needs. We try and temper the speed of our service with the needs of our clients in order to perform a thorough job. We ensure that your legal needs are met with both speed and efficiency. We prefer to get the job done right the first time. 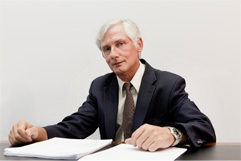 Our firm has represented a wide variety of clients over the years to a successful and financially beneficial fruition. At the Law Office of Aleksandr Vakarev Esq we have the experience, ability and the resources to equal the playing field against any corporate defendant, insurance company and/or individual. Because we know what is at stake for our injured clients, we take great pride in our work, to ensure that we do everything within our power to give you, our client responsive legal representation. We promise to get you the results you need and deserve. This can only be accomplished by having experienced, dedicated legal professionals on your side. If you or a loved one have been injured or killed due to the negligence of another, please be aware you may be entitled to monetary compensation. With the help of a dedicated and aggressive New York Personal Injury Attorney at the Law Office of Aleksandr Vakarev Esq., we will determine whether your personal injury case has merit.